When doctors and health care providers begin talking about the importance of socialization for Alzheimer’s and dementia care, the topic can seem complex and intimidating. But at its heart, it’s simple: Engaging with other people in social situations seems to help patients suffering from Alzheimer’s disease and other forms of dementia in several ways. In fact, it may even slow the progress of these conditions. Caused by an assortment of neurological and brain ailments, including Alzheimer’s disease, dementia is a syndrome that impacts thinking, memory, and behavior. If you have a loved one dealing with dementia, you aren’t alone. According to the World Health Organization, an estimated 47 million people worldwide are living with some form of dementia. By 2050, the number of cases is expected to nearly triple. Clearly, finding ways to improve the care and quality of life of people living with dementia is a concern many people share. It Supports Brain Health: Scientists have long noted that social interaction can help the brain stay healthy. One popular theory is that the challenges encountered when engaging with other people help to keep the brain active and functioning efficiently, much like physical exercise helps people maintain their muscle and bone mass. While the exact mechanism may not be completely understood, the fact is that individuals with a strong social network generally retain more memories than peers who are more isolated. Socialization also seems to slow the progress of cognitive impairment. It Improves Focus: Daydreaming can be fun, but some seniors run into difficulties when it comes to making the switch between aimless daydreaming and a focused state of mind. Regular socialization and participation in other mental activities can help seniors keep their minds sharp and makes it easier for aging minds to make this vital transition. Seniors who are able to make this switch efficiently are better able to cope with the tasks involved in daily living and function independently. It Strengthens a Sense of Time and Place: Alzheimer’s disease and other forms of dementia can leave people feeling adrift in time and space. People living with these conditions often lose track of time, bouncing between past and present without rhyme or reason. This continuum confusion can interfere with their ability to recognize loved ones and understand their environment. After all, it is difficult for someone to recognize an adult male as their son when their mind places them in a time when that son is a child. By stimulating a part of the brain that regulates a person’s sense of time and place, regular socialization provides a sense of structure that can be grounding. It Generates a Stronger Sense of Inclusion: The act of interacting reinforces the connections and relationships between people, strengthening a person’s sense of belonging and reducing their feelings of isolation. Loneliness is strongly associated with an increased risk of depression, anxiety, stress, insomnia, and mood disorders. Building and sustaining the social circle of dementia sufferers can have a protective effect and allow them to enjoy a better quality of life. When stressed, dementia patients can become unsettled, upset, or even aggressive. New places, large crowds, highly stimulating activities, and other sudden changes can feel threatening, so socialization needs to happen in a safe, nurturing environment to provide the greatest benefit. Ideally, seniors with dementia should participate in a regular program of socialization that offers the comfort of familiar spaces and faces. What should you do when engaging a loved one who has dementia? Remain calm and speak slowly and clearly. Keep your vocabulary and phrasing simple. Avoid loud or unexpected sounds. Maintain eye contact and look interested in what your loved one has to say. Be prepared to repeat yourself or to listen patiently as your loved one tells you the same thing repeatedly. Don’t be surprised or upset if they become confused, forget what they told you a minute ago, or fail to recognize you. Consider using props like photo albums or activities like playing a board game or taking a walk to give your loved one something to focus on and make the time together pass more smoothly. Individuals with dementia may sometimes struggle to keep their facts straight or identify the people around them, but they can recognize and benefit from attention and affection. 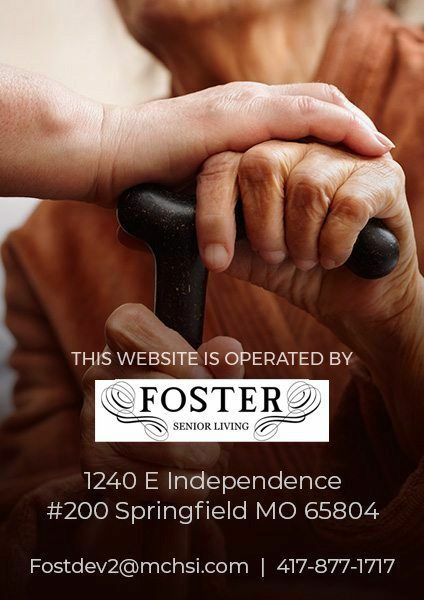 At Waterstone on Augusta, we understand the critical importance of socialization for Alzheimer’s and dementia care. 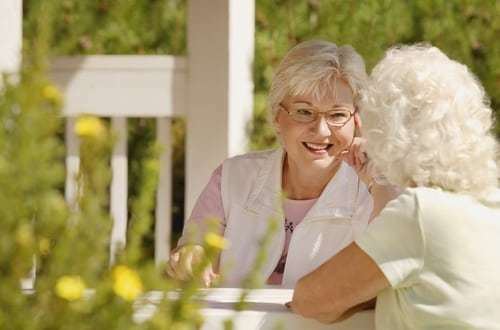 Our caring, highly skilled staff works diligently to help combat the devastating effects of Alzheimer’s and dementia by engaging with our residents through socialization, memory games, brain fitness exercises, and other activities. We also provide support services for family members. To learn more, contact us today.